A small study of casual marijuana smokers has turned up evidence of changes in the brain, a possible sign of trouble ahead, researchers say. The young adults who volunteered for the study were not dependent on pot, nor did they show any marijuana-related problems. Marijuana users really enjoy strong weed, but would prefer that it came without paranoia, memory loss and impaired ability to function. That’s according to a new report from the Global Drug Survey in partnership with The Huffington Post, which anonymously surveyed more than 38,000 users around the globe. All marijuana is not created equal. Effects can vary depending on the plant variety, cultivation, processing and blending. Cannabis has two major plant types — indica and sativa — and hundreds of hybrid strains with different characteristics. It’s produced in forms that include dried flowers, oil and wax. The survey asked users what they’d like in a “perfect cannabis.” The results show that the “global dominance of high potency [marijuana] leaves many users far from satisfied,” the researchers say. So what would the effects be of perfect pot — or “balanced bud” as the Global Drug Survey calls it? Users want their cannabis to be strong and pure. And they want it to have a distinct flavor, and to impart a high marked by greater sensory perception, allowing them to “comfortably” speak to others with more giggles and laughs, while giving them the “ability to function when stoned,” according to the Global Drug Survey report. Users report they don’t like some side effects of strong marijuana, including hangover feelings, paranoia, harmful effects on the lungs, feelings of becoming forgetful, an urge to use more, and feelings of being distracted or preoccupied, according to the survey. As the nation’s only truly legal supplier of marijuana, the U. S. government keeps tight control of its stash, which is grown in a 12-acre fenced garden on the campus of the University of Mississippi in Oxford. From there, part of the crop is shipped to Research Triangle Institute in North Carolina, where it’s rolled into cigarettes, all at taxpayer expense. Even though Congress has long banned marijuana, the operation is legitimate. It’s run by the National Institute on Drug Abuse, part of the U. S. Department of Health and Human Services, which doles out the pot for federally approved research projects. While U. S. officials defend their monopoly, critics say the government is hogging all the pot and giving it mainly to researchers who want to find harms linked to the drug. U. S. officials say the federal government must be the sole supplier of legal marijuana in order to comply with a 1961 international drug- control treaty. But they admit they’ve done relatively little to fund pot research projects looking for marijuana’s benefits, following their mandate to focus on abuse and addiction. “We’ve been studying marijuana since our inception. Of course, the large majority of that research has been on the deleterious effects, the harmful effects, on cognition, behavior and so forth,” said Steven Gust, special assistant to the director at the National Institute on Drug Abuse, which was created in 1974. With polls showing a majority of Americans supporting legalization, pot backers say the government should take a more evenhanded approach. The National Institute on Drug Abuse and the White House drug czar have become favorite targets to accuse of bias, with both prohibited by Congress from spending money to do anything to promote legalization. Since the beginning of the year, more than 70 bills related to hemp have been introduced in more than half of the states in the U.S. That’s more than triple the number of hemp bills introduced during the same legislation period last year, and nearly double the total amount of hemp bills introduced in all of 2013. Added to that is the recent passage of the Farm Bill, which legalizes industrial hemp production for research purposes in states that permit it. Rep. Earl Blumenauer (D-Ore.), one of the congressmen who introduced the industrial hemp amendment to the Farm Bill, told The Huffington Post that all the progress on hemp legislation is a key indicator of just how fast policy is changing in the U.S. Thus far, 12 states have legalized industrial hemp production and about two dozen others have introduced legislation that, if passed, would authorize research, set up a regulatory framework or legalize the growing of industrial hemp in the state. Millions of ordinary Americans are now able to walk into a marijuana dispensary and purchase bags of pot on the spot for a variety of medical ailments. But if you’re a researcher like Sue Sisley, a psychiatrist who studies post traumatic stress disorder, getting access to the drug isn’t nearly so easy. Marijuana offers hope for 6-year-old girl with rare condition:?In marijuana, Lydia Schaeffer’s family members think they might have found a treatment that works. Now, they are trying to help legalize the drug. While 20 states and the District have made medical marijuana legal — in Colorado and Washington state the drug is also legal for recreational use — it remains among the most tightly controlled substances under federal law. For scientists, that means extra steps to obtain, transport and secure the drug — delays they say can slow down their research by months or even years. The barriers exist despite the fact that the number of people using marijuana legally for medical reasons is estimated at more than 1 million. Stalled for decades because of the stigma associated with the drug, lack of funding and legal issues, research into marijuana’s potential for treating diseases is drawing renewed interest. Recent studies and anecdotal stories have provided hope that marijuana, or some components of the plant, may have diverse applications, such as treating cancer, HIV and Alzheimer’s disease. Those with an authorization to possess medical marijuana will also be allowed to continue to do so under the injunction, though they will only be permitted to hold up to 150 grams. Instead, all those using medical marijuana would have to purchase it from large-scale commercial facilities that are being set up around the country. Patients have voiced concern about the cost and the quality of the product they will be able to obtain under the new system. Abbotsford, B.C., lawyer John Conroy was in court this week seeking the interim injunction for growers. Conroy alleges that Health Canada’s pronouncements are a violation of the Charter of Rights and Freedoms. Earlier this week, Conroy argued that the new rules create an intractable dilemma for patients. “If the patient can’t afford the medicine at the prices under the program that’s being produced, then they’re placed in a position where they have to choose between their liberty and their health,” Conroy said. 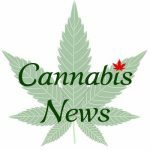 Without the injunction, patients would have to destroy their plants before April 1 and send notification to Health Canada by April 30 stating that they’ve stopped production and destroyed their plants, or law enforcement would be notified. The federal government argued in its statement of defence that grow-ops in houses lead to safety problems, such as fire hazards and mould. The state chapter of the American Civil Liberties Union (ACLU) found that such low-level charges were filed in just 120 cases in 2013, down from 5,531 cases the year before. “The data strongly suggest that I-502 has achieved one of its primary goals — to free up limited police and prosecutorial resources,” Mark Cooke, criminal-justice policy counsel with the state ACLU, said in a news release. Ian Goodhew, deputy chief of staff at the King County Prosecutor’s Office, said that hasn’t been the case in his office. He said prosecutors handled only a few misdemeanor pot cases a day before the law went into effect. Cooke conceded the law hasn’t fundamentally changed what prosecutors do every day but said when considered more broadly, I-502 has saved resources, from basic investigation and filing of paperwork to court time. He noted King County’s adult misdemeanor pot cases fell from 1,435 in 2009 to 14 last year. “I can’t fault their logic,” said Mitch Barker, executive director of the Washington Association of Sheriffs and Police Chiefs. “If we took speeding off the books, that would free up time. If we took robbery off the books, that would free up time.